I made the barn first. This took about two boxes of the storebought rice krispie treats, which were then covered with icing, then the fondant. I had a few flowers that I made a while back with royal icing, but wanted more of a variety of color…so I made some more flowers out of gumpaste. 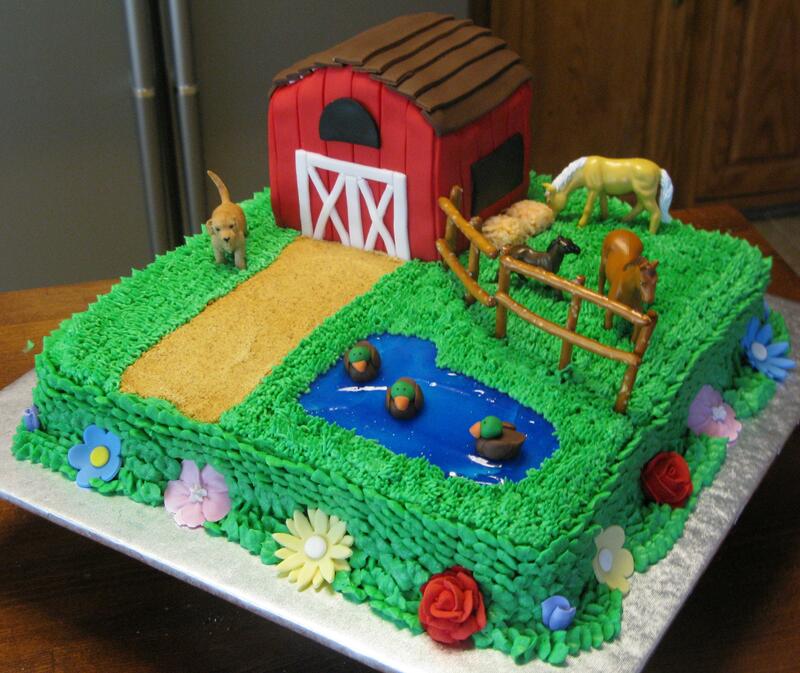 The bails of hay are made out of tinted coconut, and the fence is made out of pretzel sticks attached with melted chocolate. 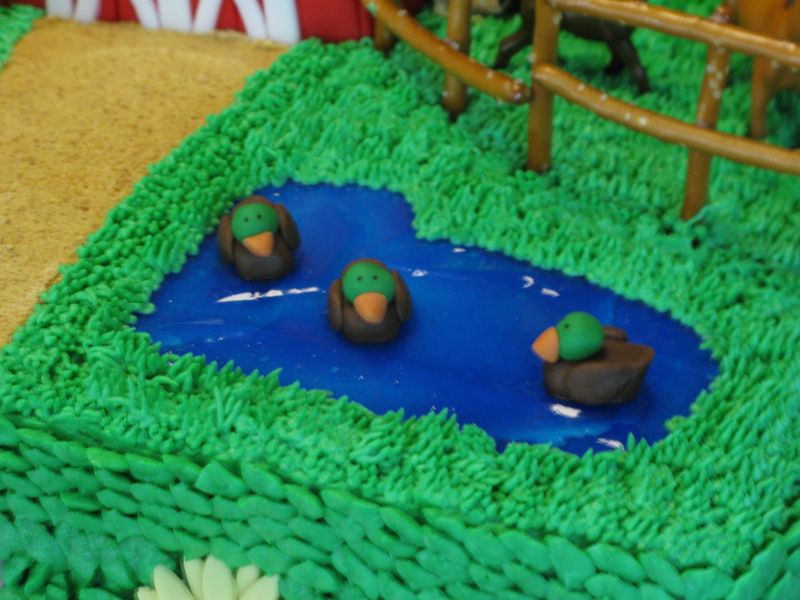 The duckies are made out of fondant, and the pond is piping gel that I colored blue, then spread over a layer of white icing. Those ducks are dominating the pond, but so cute at the same time. 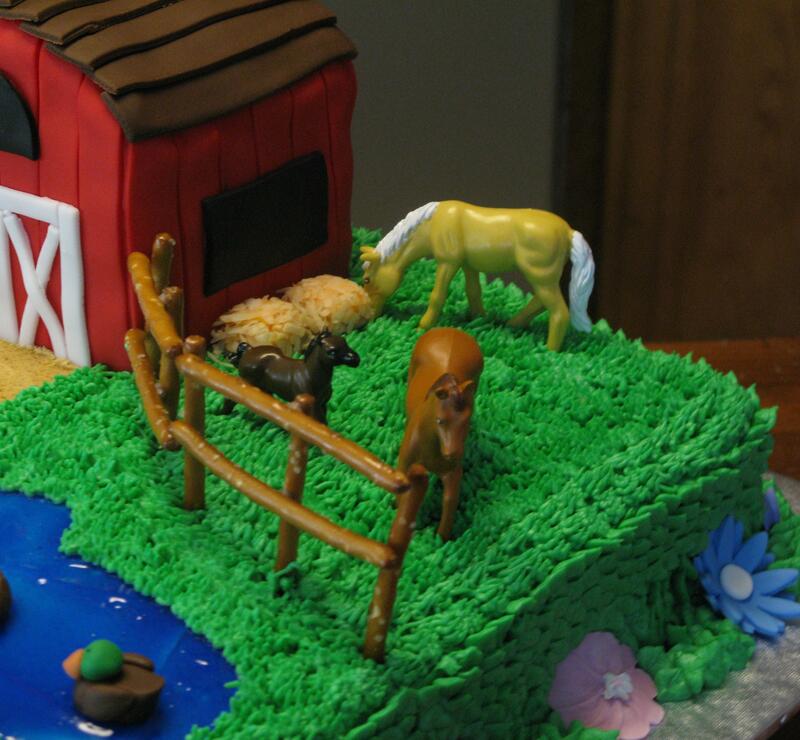 I used a grass tip for the grass on the top part of the cake. Look at that cute doggie…I bought him at an arts and crafts store to stick on the cake as well. It’s just not a horse farm without a dog. 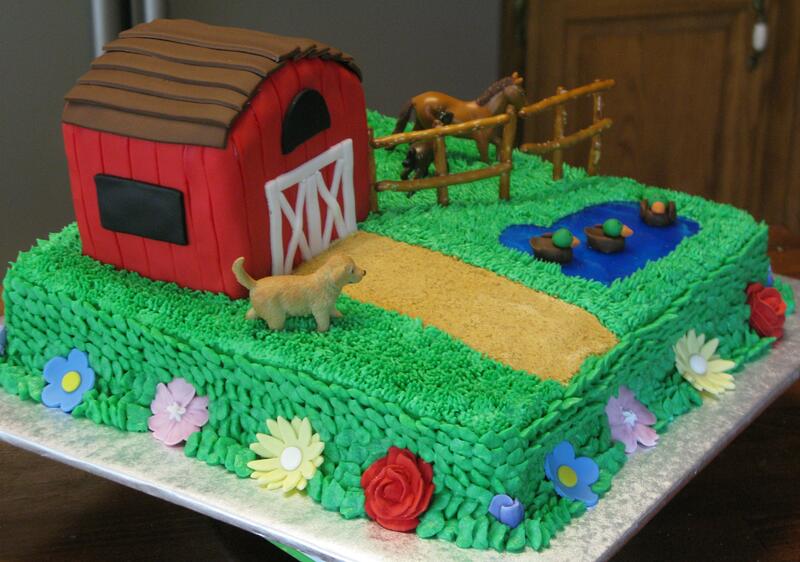 The dirt driveway is made out of graham cracker crumbs, pressed firmly into the cake. 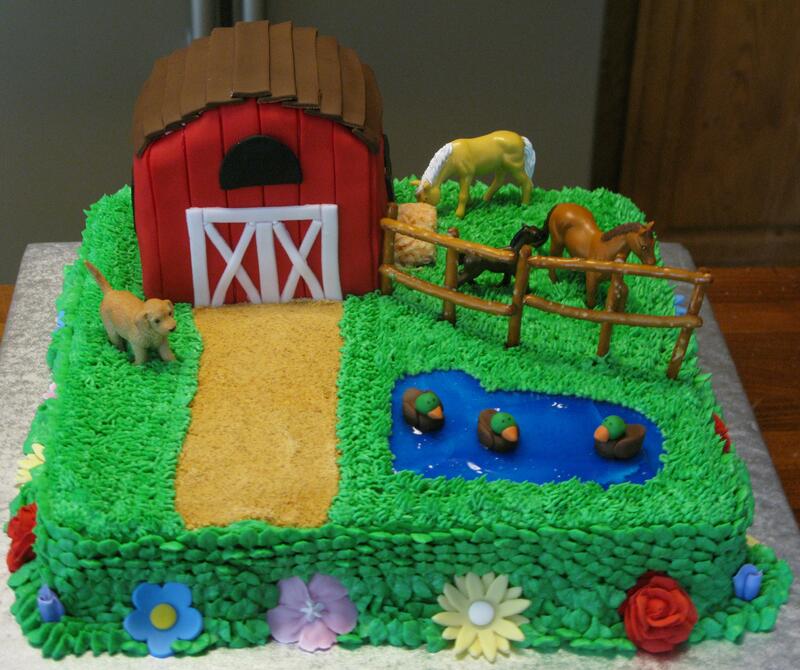 I wish there had been a video camera of my niece when she saw the cake. She got so excited and started naming off everything that was on the cake, and she must have thanked me ten times. Her little sister was absolutely fascinated with the cake (she loves horses, too), and kept going up to the cake and staring at it. So stinkin’ cute. 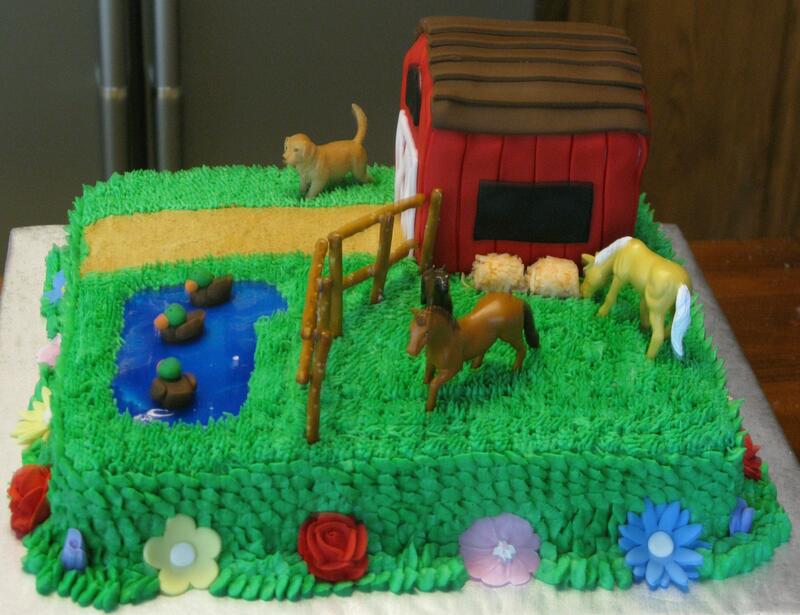 We devoured the cake, and the kids were playing with the horses and dog.